Endress+Hauser's Liquiline CM42 is a modular, bus-powered transmitter for pH/ORP, conductivity, concentration, resistivity or oxygen measurement that is suitable for all process applications. The extremely robust, corrosion-resistant plastic version and the hygienic stainless steel version are designed for demanding environments such as hygienic and hazardous area applications. Versions are available for analog sensors as well as the proven and reliable Memosens sensors. Thanks to digital Memosens sensor technology, a calibration of the electrode can be done in the lab or on-site. Liquiline CM42 now provides advanced field device diagnostics according to the latest specification of the Fieldbus Foundation. Especially for measuring parameters requiring higher maintenance effort, field device diagnostics enable a more efficient management of the measuring loop. 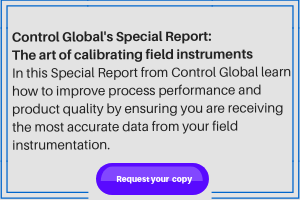 The different field device diagnostics are assigned to four distinct categories: Failure, Out of Specification, Maintenance Request and Function Check. This allows users a quick overview of the seriousness of an event. Additional support is provided by remedial actions and detailed help on addressing maintenance and repair issues. Depending upon their individual needs, users are able to modify the assignment of the field device diagnostics to the different categories.